If you always wanted to go on an adventure-filled holiday and visit South America, we believe this incredible expedition cruise through Patagonia and Cape Horn will definitely be a trip to consider. Visit the Chilean Fjords, Punta del Fuego, Tierra del Fuego, glaciers, penguin colonies, the infamous Cape Horn and other wonderful highlands. Charles Darwin was especially fascinated with this part of the world due to its abundant and diverse wildlife. With the awe-inspiring Stella Australis cruise ship, you have a choice of extraordinary trips, for 3, 4 or 7 nights. 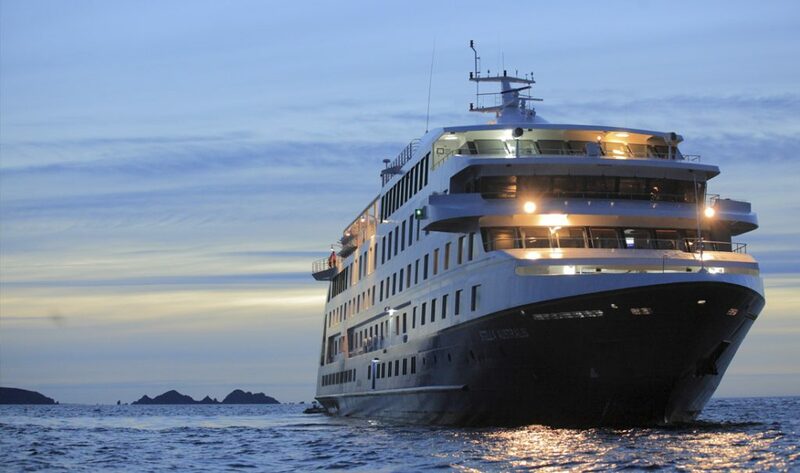 The ship was built in 2010 and has a capacity of 210 passengers. With a large and stylish dining room, comfortable cabins and even a gym, the cruise ship is ideal for your once-in-a-lifetime trip! The 3 night trip to the ‘end of the Earth’ starts in Ushuaia (Argentina) and takes you to Punta Arenas (Chile). You will get the chance to explore the unique wildlife and beautiful landscapes of Patagonia. On the first day, enjoy the welcome toast where you’ll meet the crew and captain. 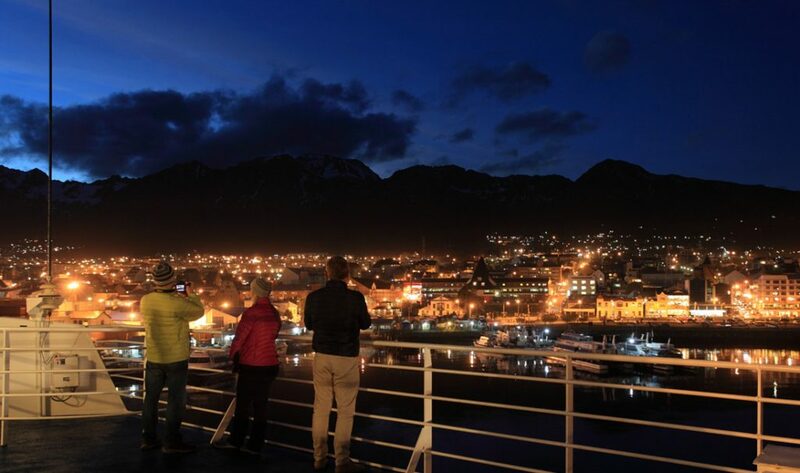 Overnight, you will cross the Beagle Channel into Chilean waters and arrive at Cape Horn at the break of dawn. The Drake Passage surrounding the promontory is infamous for its turbulent waters. For hundreds of years, it was the only navigation route between the Atlantic and Pacific Oceans, being named ‘the end of the world’ by sailors. 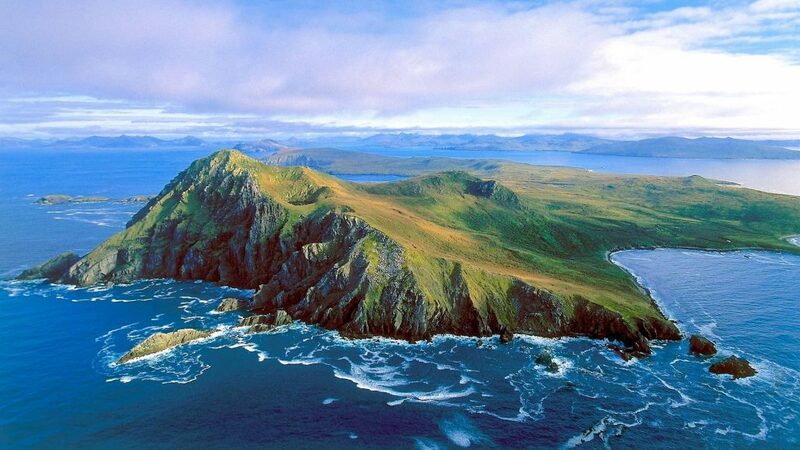 Possibly the most thrilling attraction of the voyage, Cape Horn has been declared a UNESCO biosphere reserve. The cape is situated at 55° south and 67° west, at the very end of South America. An old maritime proverb says that “Below 40 degrees latitude, there is no law. Below 50 degrees, there is no God.” You will have a choice of three hikes (of growing difficulty) that ascend the Magellanic woodland on the mountain behind Nassau Bay. On the third day, you will visit Águila Glacier, passing through the western extreme of Tierra del Fuego. Hike around the edge of the lagoon to the base of an ice-covered façade. You will get the chance to experience the Sub-Antarctic rainforest and see how the power of nature has shaped the landscape. Day 4 will find you anchoring off Magdalena Island, which can be found in between Tierra del Fuego and the Chilean mainland. 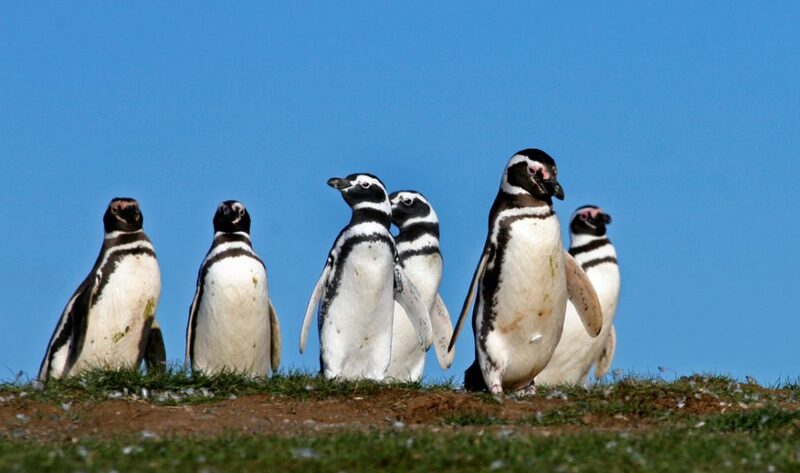 Capped by a distinct lighthouse, the island is inhabited by an enormous colony of Magellanic penguins. At first daylight, weather permitting, you will hike a path that leads through thousands of penguins to a small museum found inside the vintage 1902 lighthouse. Between September and April, when the penguins leave the island, the trip is replaced by an excursion to Marta Island, where you’ll observe South American sea lions. The longer, 4-day trip begins in the Chilean Punta Arenas and takes you to Ushuaia in Argentina. The first day is similar to the first trip, as you’ll be meeting the crew. Overnight, you will traverse the Whiteside Canal between Darwin Island and Isla Grande de Tierra del Fuego. On the second day, you will go aground at Ainsworth Bay, which is home to an abundant bird life, as well as a colony of southern elephant seals. You will have a choice of 2 guided trips: one along the edge of a watercourse, peat marsh and beaver territory to a waterfall-and-moss-covered rock front; the other is a more difficult hike along the crest of icy debris. Both excursions offer views of Marinelli Glacier and the Darwin Mountains. After a narrow cross through Gabrial Channel overnight, you will have an entire day to explore Glacier Alley. 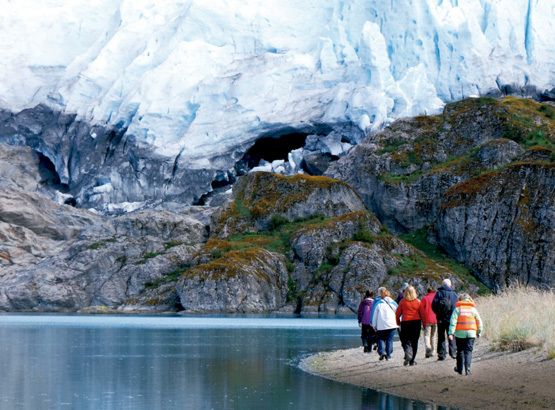 Starting with a short excursion aboard the Zodiac to Pia Glacier, you will then continue east through Glacier Alley. As expected, the passage features imposing glaciers streaming down from Darwin Mountains and the Darwin Ice Sheet. 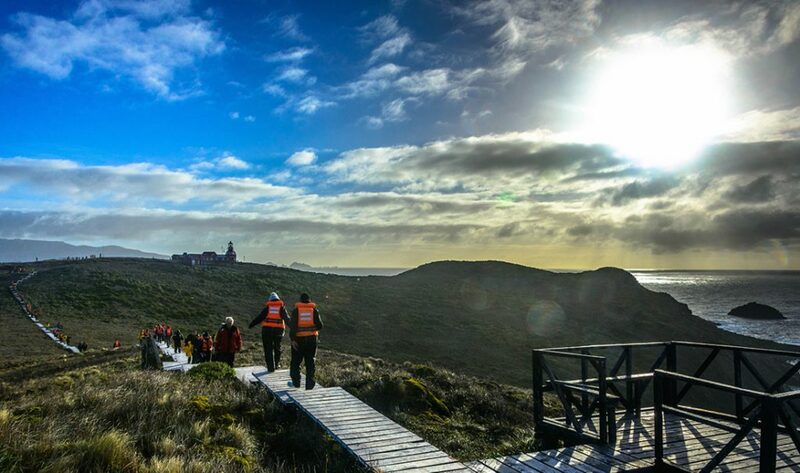 On day 4, you will visit Cape Horn, Wulaia Bay. The excursion is identical to the one from the 3-night trip. On the last day, you will arrive in Argentinian waters and dock in Ushuaia, where you can explore the city before returning back to the United Kingdom. The 7-night voyage combines the two presented above. 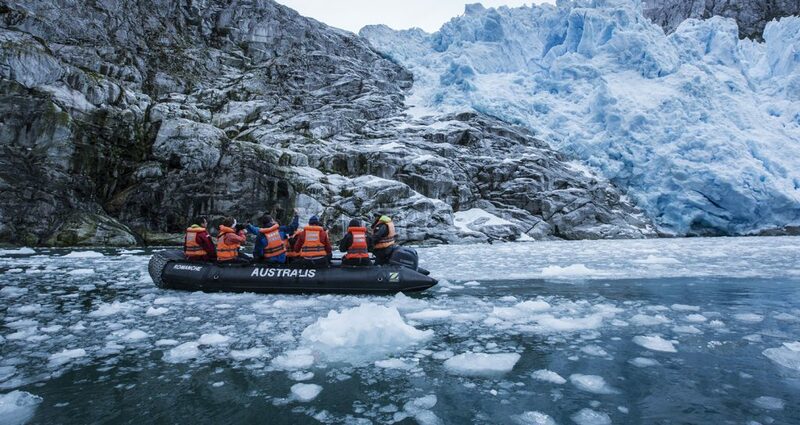 If you would like to know more information about this unique expedition cruise, find out about prices, accommodation in Ushuaia or Punta Arenas and flights, contact us now.